Anonymous was a woman, and she is also a saint named Susan Unterberg, an anonymous philanthropist and artist who has revealed her identity to the New York Times after secretly donating $5.5 million to woman artists over the span of 22 years. Her grant program, Anonymous Was a Woman (named for a line from A Room of One’s Own) has been doling out $25,000 sums to a total of 220 women to offset flagrant gender bias. It’s literally on display everywhere: the dude-dominated bestseller list; the all-male “shows” which are just “shows,” versus women’s shows which are “female shows”; the reported 3-1 imbalance in gallery representation; the estimated half-prices on women’s work at auction; et cetera. Several of the recipients are not exactly anonymous. Nicole Eisenman had already been placed in the career-solidifying Whitney Biennial twice before she was given the grant, and her work has hammered for hundreds of thousands of dollars. A lot of these names are familiar from bluechip galleries and career retrospectives. But even with notoriety, art careers typically involve living in constant, indefinite stretches on the precipice of poverty. 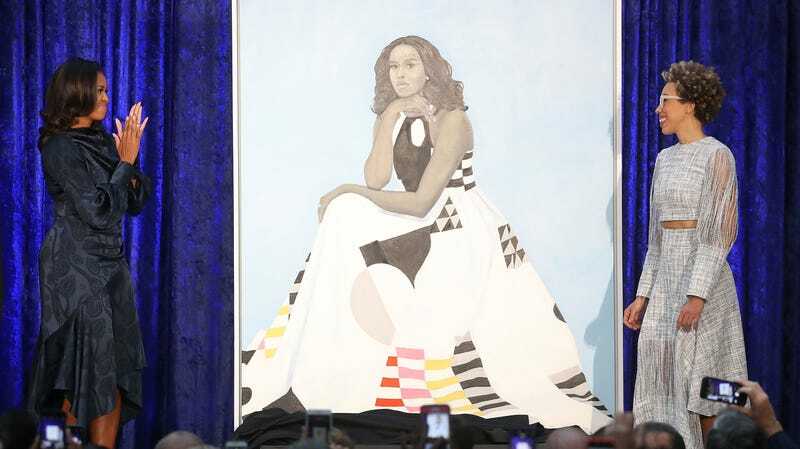 Amy Sherald tells the Times that she was “flat broke” and unable to pay rent when she received the grant, just before she became the first black woman to paint an official portrait of the First Lady–an image which reached far beyond the art world’s sexist alcove and to the masses.